Mformation Software Technologies LLC can seamlessly manage over 500 million machine-to-machine and IoT devices. 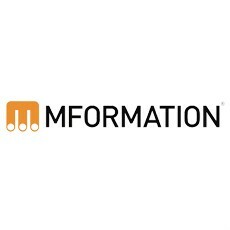 Mformation Software Technologies LLC, the leading global provider of scalable communication management solutions for wireless connected devices, continues to enhance its global solutions to seamlessly manage an ever-changing array of machine-to-machine (M2M) and Internet of Things (IoT) technologies. Today, Mformation announced expansion of its MIDAS™ Device Certification and Interoperability Testing programs based on continuous testing of Lightweight M2M (LWM2M) standards with several key partners over the last six months. Interoperability Testing has enabled Mformation to demonstrate its agility and open architecture with several major wireless, device and service vendors and to expand core services to both network operators and device manufacturers. A close partner to Open Mobile Alliance (OMA), Mformation began demonstrating the LWM2M power of IMPACT™, its Intelligent Management Platform for All Connected Things™, at the OMA TestFest in Germany earlier this year. At the event and throughout subsequent partner integrations, Mformation IMPACT™ was validated against several LWM2M client implementations. Mformation has done extensive interoperability testing of its OMA LWM2M server software with NetComm Wireless Limited, a leading developer of global M2M devices and solutions. “NetComm Wireless has demonstrated advanced LWM2M client implementations following successful interoperability testing with Mformation’s OMA LWM2M servers. The results demonstrate far greater interoperability between M2M devices and their remote management servers. They also represent a significant step forward for global carriers and vendors that need to overcome development, proprietary and scalability challenges to address a considerably larger M2M and IoT market,” said David Stewart, CEO and Managing Director, NetComm Wireless. In April, Mformation participated in ION2015 TestFest in Korea, hosted by Electronics and Telecommunications Research Institute in collaboration with Telecommunications Technology Association (TTA), which promotes industry standards to Korean manufacturers.